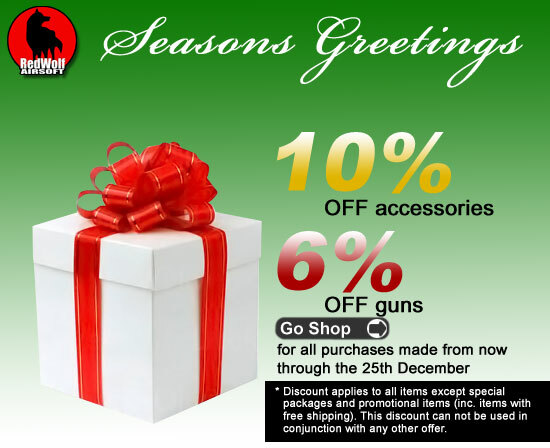 We've got another special treat for you guys this Holiday Season - due to the popularity of our previous Holiday discount (finished), we are offering a discount of 10% for accessories and 6% for guns for all those customers who missed their chance or want more of a good thing. This discount will run through the 25th December. Offer only runs until 25th December and the offer can not be applied retrospectively.